Delivery time: Ships right away! 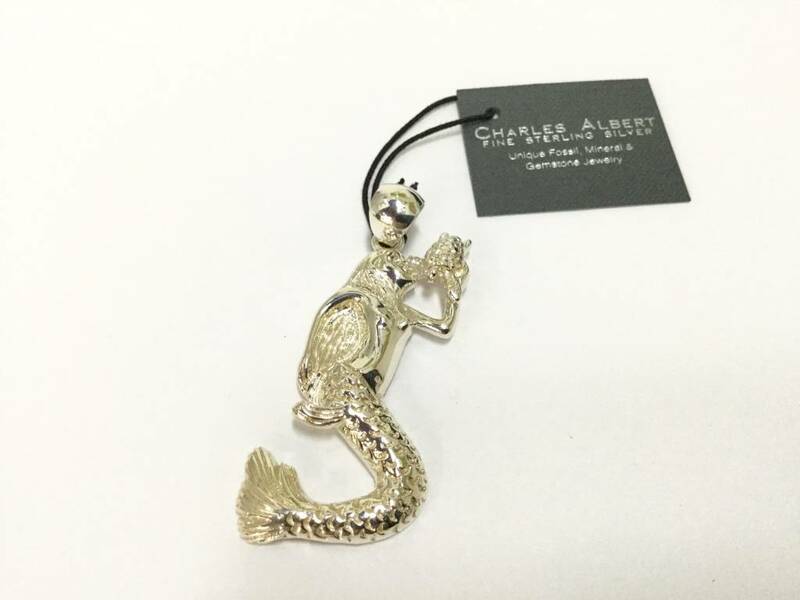 Handcrafted .950 fine Sterling Silver Mermaid pendant designed by Charles Albert & handmade by Artisans in Mexico. 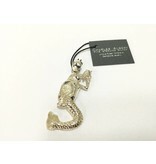 Mermaid is 60mm x 23mm, 5mm thick. Length of Pendant including Bale: 2.5" in Length.